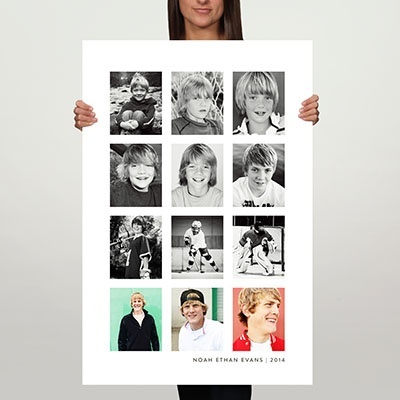 I particularly like the Many Memories 36×24 Custom Poster that holds up to 44 photos. (Though it may be hard to come up with 44 photos of my youngest. 🙂 I don’t have nearly as many photos of him as I should.) 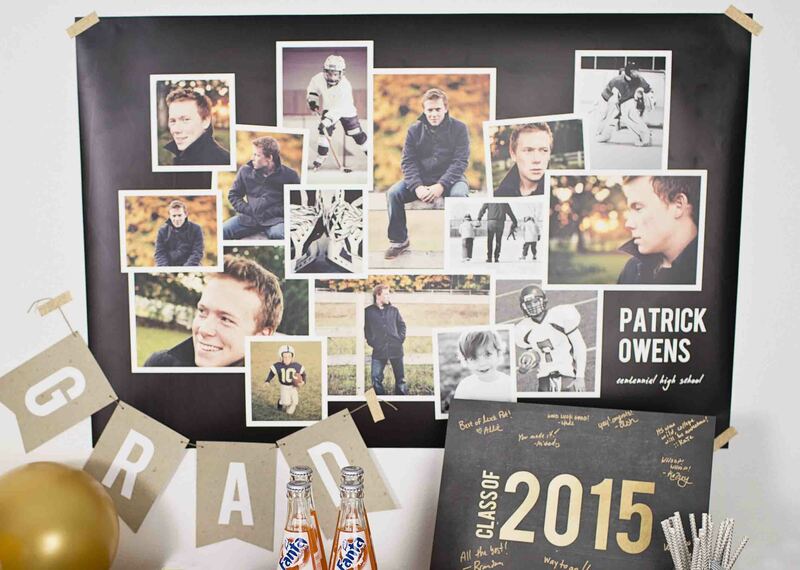 I also like the Twelve Photos 24×36 Custom Poster because you can insert a photo from every school year in that one. It’d be fun to show how he’s grown throughout the years. The best part is that you can upload all your photos straight from your computer, Facebook account, Instagram or Dropbox. (Be careful with Facebook and Instagram photos, though, because many of them are too small to work in these posters.) There’s even an Autofill button that will drop them all into your poster in one click. Of course, on a poster like the Twelve Photos design, you may want to place them yourself. But the Autofill button is handy if you don’t care what photo goes where. I can’t wait to create a poster next year and have all my friends say, “Where did you make that?” Of course I’m going to say I made it myself, at Pear Tree. See all our custom posters to find the one you like best. And don’t miss all the other graduation party decorations you can order to match! ← PreviousFREE Set of Graduation Note Cards!